Devotee: Prabhupāda, when I'm serving you sometimes I feel very nice, but then when I think of how bad and imperfect this service is, I feel terrible. Which is right to feel? Devotee: When I see all the blunders I make, all the mistakes. Prabhupāda: Sometimes... This is nice. To accept the blunders... Even there is no blunder. This is the symptom of sincere service. Just like a father is very beloved to his son or the son is very beloved to the father. A little ailments of the son, the father is thinking, "Oh, my son may die. I may be separated." It is the sign of intense love. Not always that the son is dying immediately, you see, but he's thinking like that. Separation. You see? So that is a good sign. We should not think that we are doing very nicely. We should always think that "I am unable." This is not bad. We should never think that "I am perfect." Because the māyā is so strong, as soon as you are a little confident, immediately there is attack. You see? In a diseased condition... Just like one who takes very precautionary method, there is little chance of relapse. So this is not bad. We should always think like that, that "Maybe I am not doing nicely." But as far as it is in our power, let us execute our business nicely, but we should never think that it is very perfect. That is nice. Devotee: If māyā takes a hold on one, what is the quickest way to go back to Kṛṣṇa? 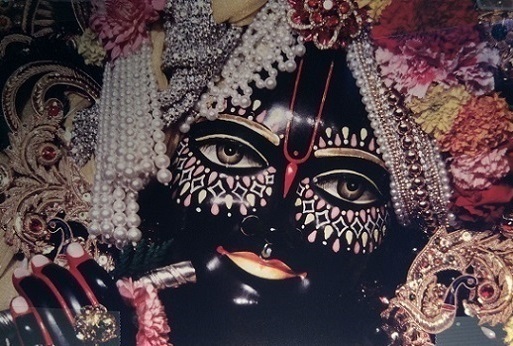 Prabhupāda: Oh, that Kṛṣṇa, Kṛṣṇa... Simply whenever there is māyā's attraction, just pray to Kṛṣṇa, "Please save me. Please save me." This is the only way. And He'll save you. We are in māyā's kingdom, so māyā is strong very here, but if we catch Kṛṣṇa very strongly, māyā cannot do anything. Yes. That we should be fixed up in catching Kṛṣṇa very tightly. Then there is no falldown. Yes. Prabhupāda: Best way you go on chanting. Your business is not to, I mean to say, satisfy the crowd. Your business is satisfy Kṛṣṇa, and then crowd will be automatically satisfied. We are not going to please the crowd. We are going to give them something, Kṛṣṇa. So you should be very much careful whether you are delivering Kṛṣṇa in the right way. Then they'll be satisfied. Your only business should be to satisfy Kṛṣṇa. Then everything will be satisfied. Tasmin tuṣṭe jagat tuṣṭa. If Kṛṣṇa is satisfied, then whole world is satisfied. If you pour water on the root, then it is automatically distributed in every parts of the tree. So Kṛṣṇa is the big tree, root of the big tree, and you take to watering Kṛṣṇa, chant Hare Kṛṣṇa and follow the rules and regulation, everything will be all right. Now, yes, any questions? Devotee (3): Is taking prasādam one of the exchanges of love, where we accept food from a lover? Prabhupāda: Yes. You offer and you take. Dadāti pratigṛhṇāti bhuṅkte bhojayate guhyam ākhyāti pṛcchati ca. You disclose your mind to Kṛṣṇa and Kṛṣṇa will give you direction also. You see. You offer Kṛṣṇa, that "Kṛṣṇa, You have given us so many nice things. So You first of all taste. Then we shall take." Kṛṣṇa will be pleased. Yes, that's all. Kṛṣṇa eats, and Kṛṣṇa puts again in the same way. Pūrṇasya pūrṇam ādāya pūrṇam evāvaśiṣyate (Īśo Invocation). We are offering Kṛṣṇa, that does not mean that Kṛṣṇa... Kṛṣṇa is eating, but Kṛṣṇa is so full, complete, that He's leaving the whole thing complete. So people do not even understand these things that we are not loser by offering Kṛṣṇa. We become gainer only. Gainer only. You decorate Kṛṣṇa nicely, you see. Then your desire for seeing beautiful thing will be satisfied. You no more will be attracted by the so-called beauties of the world. You keep Kṛṣṇa in comfortable state, You offer Kṛṣṇa nice foodstuff, you'll eat it. So just like if I decorate my face, I cannot see how it is beautiful, but if I bring one mirror before me, the reflection of my face is beautiful. Similarly, you are reflection of Kṛṣṇa. Man is made after God. So if you make happy Kṛṣṇa, then you'll see that your reflection, you are happy. Kṛṣṇa does not require your service to become happy. He is complete in Himself. But if you try to supply, make happy Kṛṣṇa, then you'll be happy. This is the Kṛṣṇa consciousness movement. So try to decorate nicely Kṛṣṇa, try to give all foodstuff to Kṛṣṇa, try to keep Kṛṣṇa in all comfortable position. In this way you will reciprocate all the things that you offer to Him. This is Kṛṣṇa consciousness."